in New York City isn't really all that hard. I should know, because I just spent a week in Manhattan. 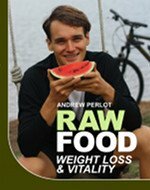 People often say that raw diet is too challenging to maintain when they're not at home. I don't buy this, since I've traveled around the world while eating raw and haven't had any problems. I was in Manhattan giving support to a relative who had to have some serious surgery at a hospital there. I spent 4-5 hours a day visiting with him, and the rest of the time walking around the city, exploring the sights. I certainly didn't have tons of extra time to devote to food shopping. I had no travel options beyond public transportation and my own two feet, and certainly couldn't engage in my normal practice of saving money and time by buying in bulk from wholesalers, since you can't fit boxes of fruit into a cramped NYC hotel room. Even if I had more space, I would have had some problems hauling the fruit without a bike trailer or a car. So how did I make it work? Most places in the developed world have abundant supermarkets, just like your home town. And the developing world generally has local markets of various kinds selling produce of good quality. Both are good places to get fruits and vegetables. 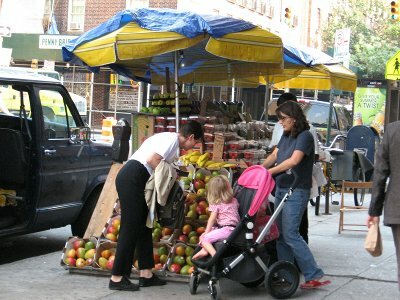 Being the arch example of a dense, well-developed city, Manhattan has fewer sprawling supermarkets, but plenty of small corner grocery stores with fruits and vegetables. But it also has something that you rarely see in other cities in the US - tons and tons of fruit carts on the streets. These carts are usually run by hard-working immigrants, and they'll often give you deals if you buy large quantities, which, of course, you'll probably be doing if you're eating raw. I passed three of four of them every day on the walk between my hotel and the hospital, and plenty more as I wandered around the rest of the city. After I'd eaten the two small containers of Costco dates I stuffed into my luggage, I mostly ate from these fruit carts. On the first day I bought as many bunches of bananas as would fit into my backpack as I walked back to my hotel room to sleep. Throughout the rest of the trip I also bought mangoes, melons, grapes, apples, pears, peaches, and an avocado from the fruit stand. Every day I also had a small salad when I went out to eat at a restaurant with my family. There are make-your-own salad places almost every block in Manhattan, but even the diners and other restaurants can make a custom salad for you. One night my family and I went to Times Square, which has a Ruby Tuesday with a good salad bar where I could eat a little more amply. It might not be my ideal "normal" salad, but for a week, a few smaller salads will do just fine. Pack high-calorie staple foods in your luggage to eat while traveling and after you've arrived. Dates are a good option. I suggest you soak them in water before you eat them. I usually have a water bottle that I pack them into before I set out for the day, and after a few hours they're ready to eat. See this video for more info. Research where you can get fruit before you go. Besides this small list, a google search or a post on a raw food forum will likely furnish the info you need. Remember that most placed in the developed world have ample supermarkets that are easy to get to. Developing countries are more likely to have smaller outdoor markets. Use the phone book or an internet search to find wholesalers, if you can handle that volume of food. Although I didn't make any special effort to visit them, I kept bumping into nice farmers markets as I walked about. One of the nicer ones was in Union Square Greenmarket, and I bought a few ears of corn and some peaches and munched on them in the shade. The prices will be a bit higher, but the quality is pretty good too. If you're going to be there for a longer period of time, there are a few wholesalers you can shop at in Manhattan. I happened to visit one because I ran into it when I was on the west side of the borough, and they had a large selection of fruit, including some fairly exotic varieties. 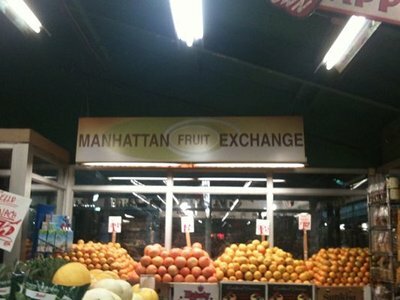 It's called the Manhattan Fruit Exchange, and besides supplying hundreds of restaurants in Manhattan, they also sell to the public in smaller quantities. Eating a healthy raw food diet can do amazing things for your health, so have at it. Don't let the fear of logistics and travel weigh you down. If you liked this article on raw food in NYC, check out some other hot spots.